A prevailing model for mental health care for youth and families is to provide services within a “psychopathology” focused framework. This approach can compound problems for youth by imparting negative labels on them, and may be associated with iatrogenic impacts of interventions (e.g., stigmatization, lowered self-efficacy, dependency). This study assessed perceptions of the term “psychopathology” among 486 youth aged 18–25, with 39% of these youth receiving prior mental health services. Results indicated statistically significant differences in perception of the term, with youth who had received mental health services perceiving it more negatively than youth who had not. 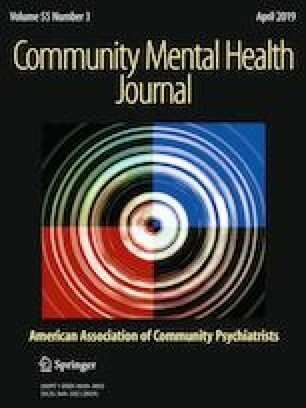 Findings suggest receipt of mental health services among young people may sensitize them to negative aspects of the term psychopathology, indicating the need for caution in using this term and other terms that may have negative impacts on mental health service use among youth.